ESCI's professional team has the in-depth knowledge to serve you; each member has from 22 to 43 years of related experience. Scroll down the page. A 1978 graduate of the University of Washington School of Electrical Engineering, Brian has been involved in the electrical utility industry for more than 37 years. He is a distinguished Senior Member of the Institute of Electrical and Electronic Engineers (IEEE), and active member of the IEEE Engineering in the Safety, Maintenance, and Operations of Lines Subcommittee (ESMO). Mr. Erga is currently chairman of the ESMO Induction Task Force and an active member of many IEEE, ESMO, Federal OSHA, ANSI, and ASTM committees, work groups and task forces. He is an active member of the NESC-C2 Subcommittee 8, responsible for NESC Part 4 "Work Rules." Brian Erga is considered an expert in electric utility design, construction, maintenance and operation. He has been deeply involved in the hearings and proposed revisions to OSHA 1910.269 and OSHA 1926 Subpart V. He is also an industry expert in all types of personal protective grounding, has published numerous papers and articles, and is knowledgeable in all Federal OSHA regulations relating to the utility industry. Mr. Erga is a subject expert on the application of the Minimum Approach Distance, two-man rule, FR clothing and PPE requirements, and other rules and regulations related to the utility industry. He provides expert witness services and is a sought-after speaker nationwide. Hector is our Director of Operations and also provides service for the Arizona/Nevada/Iowa/Illinois Utilities Safety Group. 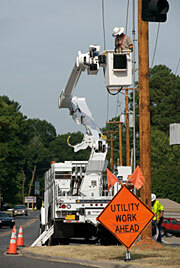 In addition, Hector conducts safety audits for electric utilities throughout the country. Hector has more than 42 years in the electrical utility business. He spent 13 years as a lineman, five years as a Transmission/Distribution Safety & Training Specialist, and eight years as Supervisor of El Paso Electric's Safety Department. Hector has a great deal of experience in utility safety and is considered an authority in technical training relating to pole-top/bucket-truck rescue, rubber gloving, Leadership Safety Awareness, and since 1989 Department of Transportation (DOT) matters. Hector is a member of the American Society of Safety Engineers (ASSE), a Certified Utility Safety Administrator (CUSA), and an active member of several national organizations such as the National Safety Council, and Southwest Electrical Safety Exchange serving as past Chairman. He also is available to provide expert witness services. ESCI provides its employees opportunities to excel in their duties as leaders and teachers through continued education and membership in national safety and health committees. ESCI is continuing the expansion of our Safety and Training Coordinator personnel by recruiting nationally recognized Journeyman Instructors. Clayton King received a BSEE from the University of Missouri in 1965 and completed graduate studies at Iowa State University and the University of Missouri. He has more than 40 years of experience in the field of testing products and systems. As A.B. Chance Manager of Laboratories, he conducted a substantial number of high-current and high-voltage tests for products and methods development of electrical protective equipment. He has made presentations to the American National Safety Council, the Edison Electric Institute, NEMA, the IBEW, and many electrical utility companies. He is a member of many IEEE, ASTM, and IEC committees and working groups on personal protective grounding, high-voltage metering, and laboratory testing procedures. Mr. King is a registered professional engineer in the State of Missouri. Clayton is the industry leader in personal protective grounding equipment components, and the application and testing of their acceptance. Mr. David Wallis holds a degree in Electrical Engineering from Stevens Institute of Technology, and is nationally recognized as a preeminent expert in electrical safety standards and work rules. He recently retired after 40 plus years developing Occupational Safety and Health Administration (OSHA) electrical safety standards. Mr. Wallis directed the OSHA Office of Engineering Safety for the last 10 years, authored 10 OSHA safety and health standards and contributed to dozens of others. David has examined the records of more than 6,000 electrical accidents and thousands of non-electrical accidents to determine their cause, allowing him to draft rules preventing the re-occurrence of those accidents. David actively participates in national consensus standards writing committees by offering his extensive knowledge in occupational safety and health standards. He is an active member of ASTM F18, IEEE, the Engineering in the Safety, Maintenance, and Operations of Lines Subcommittee (ESMOL), NFPA 70E, and NESC Subcommittee 8 responsible for Part 4 "Work Rules." He also is available to provide expert witness services. Brian has 35 years in utility industry. Engineering, Line, Substations, Quality, AMR/AMI. 9+ Years working with AMR/AMI Vendors. 5 Years – Trilliant Networks – Montreal/San Francisco. 4 Years – Landis+Gyr – Melbourne/Sydney. 6 years in quality for PSE, with a focus on new material acceptance and all types of equipment failure. 18 years AMR/AMI Smart Grid – Demand Response. Program Lead and Service Provider. Kris has more than 34 years of high level, electric utility management experience with Pacific Gas & Electric (PG&E). She last held the position at PG&E as the Director of Transmission Line Maintenance and Construction, managing 18,000 miles of transmission lines, 300 employees and a $288 million dollar budget. Kris also was the Director of PG&E's Grid Control Center with interconnections to Western Electricity Coordinating Council (WECC). She held the position of Process Improvement Manager, Engineering and Planning Manager, Director of PG&E's Bay Area Customer Field Service Group, Capital Investment Director, Electric Engineering Supervisor, Bay Region Transmission Gas and Electric Operations Manager, Stanislaus Division Director Engineering and Telecommunications, Transmission and Substation Operations Engineer, and various Engineering positions. Ms. Buchholz holds a Master's degree in Business Administration and a Bachelor of Science in Electrical Engineering and Computer Science, from the University of California, Berkeley. She is a Registered Professional Electrical Engineer in the State of California and a past member of the WECC Operations Committee. Kris is the past chairman of the IEEE Engineering in the Safety, Maintenance and Operations of Lines Committee (ESMOL), and still is deeply involved with the ESMOL Committee. At ESCI Kris will be leading special projects for ESCI customers involving all areas of electric utility operations, maintenance and construction, including live-line work methods development, management assistance and engineering projects. Mr. Verdecchio has been a member of the IEEE/ESMOL Subcommittee for fifteen years. He has authored five papers on live-line work methods and is currently working to combine all the papers into a Live-line Working Guide for the industry. He is IEEE's representative to NESC Subcommittee 8, Part 4 "Work Rules," and is a member of the EPRI Live Line Advisory Board. Tom is a member of the U.S. National Committee of the IEC (International Electro-Technical Commission) and a committee member of the American National Standards Institute (ANSI). Mr. Verdecchio currently works with EEI, IBEW, OSHA and the FAA in the rule making for Helicopter Live-line Work external operations FAR part 133 Class A, B, C, and D.
He also is available to provide expert witness services. Gretchen is the Director of Health and Wellness at ESCI and specializes in the health and wellness field. She develops and provides health and wellness programs, oversees all First Aid/CPR training, and ESCI's Hearing Test services. She is certified as an American Red Cross First Aid/CPR Instructor. A 1974 graduate of Western Washington University with a BS in speech therapy and audiology, she obtained her MS in education from WWU in 1991. Gretchen spent 24 years teaching at the intermediate level of public education, specializing in health and wellness the last five years. Martin has more than 20 years in the electric utility industry as a lineman, foreman, safety professional, and technical instructor for some of the largest companies in the country. Mr. Lemm has been in the electric utility business for more than 26 years. He received his business management degree from Northern University. Mr. Lemm then joined Montana Power Company where he held several positions in the Operations Group. He then pursued a career as a safety and training professional and worked with utilities in Montana, Idaho, Wyoming and Washington. His safety and training experiences include work with natural gas and propane companies, electric generation, and transmission and distribution systems. Mr. Lemm is well versed in the OSHA 1910 and 1926 regulations, and is an OSHA General Industry Outreach Trainer. He spends much of his time involved in Federal regulatory compliance and Department of Transportation (DOT) rules. Mr. Lemm also is an expert in workplace wellness, office safety and general safety requirements. Mr. Lemm's extensive martial arts background and experience in law enforcement issues has given him an edge on work-place violence and personal safety issues. He is also qualified to conduct facility security audits for employers. Mr. Lemm has an upbeat and quick-paced instructional technique, and can make even the most boring subjects interesting and pertinent. Jerry holds the National Rural Electric Cooperative Association Loss Control Professional Certification and numerous other instructional certifications as a trainer in the field of health, wellness and general safety. He is CAOHC certified, an NSC Instructor Trainer and a certified First Aid/ CPR and AED instructor. He also holds a certification as a Critical Stress Debriefing Counselor and Personal Trainer. Certified Rubber Glove, Hot Stick and Live-Line Maintenance Professional. He is a member of the Employer's Electrical & Communication Safety Committee (EECSC) and the Electrical Utility Safety Advisory Committee (EUSAC). Jim and his wife Connie currently reside in Shelton, Washington. John's experience comes from 36 years of electric utility experience, including 12 years as a senior safety consultant for PNM Resources. John has a total of 24 years as an journeyman lineman, crew foreman and district operations manager. Mr. Avila is fluent (bilingual) in both Spanish and English. Ed is registered and active member in the Southwest Electric Safety Exchange (SWESE), participating in annual conferences. Mr. Bennett has 39 years in the electric utility business as a journeyman lineman, foreman and senior safety administrator. Robert (Bob) is highly skilled in operations, maintenance and construction of overhead and underground transmission, distribution and substations. Mr. Bennett has extensive knowledge in Federal OSHA's safety regulations and work rules. Bob is also skilled in the environmental concerns covering the generation, transmission and distribution of electric energy. He has excellent communication skills and can speak to all groups of people. As a senior safety administrator for one of the largest West coast utilities, Mr. Bennett was responsible for the company's local safety committees and emergency response teams. He provided consulting and training to employees and management on the application of laws, regulations and policies for safe work practices. Bob conducted safety and health risk assessments, job task analyses, ergonomics and body mechanic assessments for the company's craft and office workers. Mr. Bennett is knowledgeable in analyzing hazards and potential risks to people, facilities and equipment in accordance with industry best practices. He has investigated many industrial incidents and developed detailed reports and recommendations to senior management on the incidents. Mr. Gela is currently an adjunct professor at Western New England University in Springfield, MA, where he teaches graduate and undergraduate courses in AC Power Systems, Power Electronics, and Renewable Energy. Click here for his résumé.